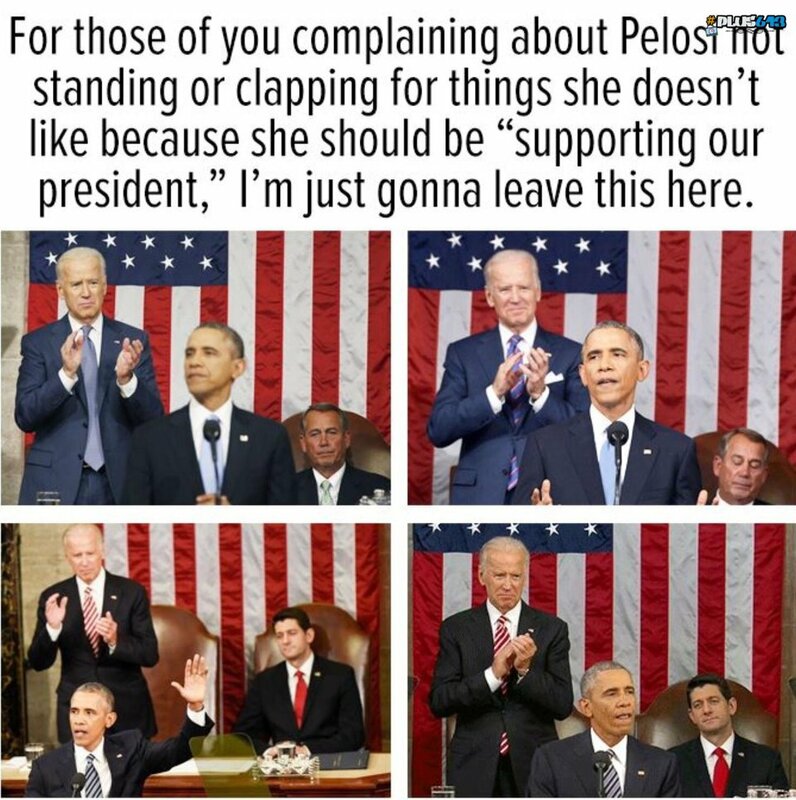 At least when Obozo was giving similar addresses, even while previous speakers of the house were in staunch disagreement with what was being said they were at least respectful of the president during his speeches. The same can not be said of Pelosis' constant fidgeting, odd facial expressions and obvious disregard for any semblance of the common courtesy of even paying attention to what was being conveyed as she sat behind him shuffling through pages instead of focusing on any sense of reflexive social decorum in her disagreement. However, to focus solely on Pelosis' actions hardly relates the overall openly contemptuous way the libs in general reacted to anything other than praises President Trump heaped upon them directly. This of course points most specifically at their tendencies toward total narcisism. In breaking news, politicians are assholes. Trump has lowered the bar for public decorum by high office holders, hell, he threw decorum off a cliff. He's reaping what he sowed.